Typical device for analysing the foot (normal/cavus/flat) and other devices for evaluating the foot morfology. Innovative, patent pending device for stabilometric analysis. 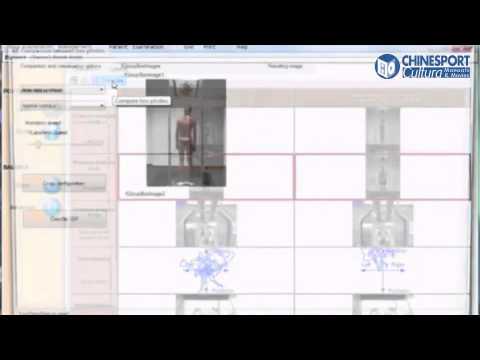 Tools for diagnostic and evalution for measuring different pathologies or postural data. Posture analysis system that makes it possible to acquire images for body part measurements, as well as information concerning weight distribution, barycentre and stability of the patient being examined. Body made from oven-baked epoxy powder coated aluminum profiles with built-in X-ray film clips. These LED lamps give off cold light with an acrylic opalescent white plate. Scales for medical and hospital use. Several scales that can detect the weight of a person, also for patients in wheelchairs. The underlying causes of many acute or overuse injuries are often not treated using a conventional diagnostic and therapeutic approach, leading to frequent reinjury and treatment failure. Many leading therapists have discovered that treating the patient's global posture is the key to a successful, fast and efficient treatment regime. Performing a detailed posture analysis is an essential part of a more hollistic therapeutic approach and treatment strategy. Global Posture Analysis System, is made up of a number of units and a software that makes possible to acquire images for body part measurements, as well as information concerning weight distribution, barycenter and stability of the patient. Posture analysis can be used jointly in several medical disciplines if there is a will to consider the individual as a whole multidisciplinary treatment, therapy and prevention program. The Healthy Posture for Healthy Movement training courses package gets you off to a flying start with the Chinesport Global Posture System equipment range. Different level courses are based on the latest evidence in posture analysis and treatment of posture related disorders and injuries, each developed and continuously updated by experts with many years of experience using Chinesport Global Posture System equipment. The basic course explains how they use the equipment in order to diagnose interregional dependencies that underlie existing musculoskeletal disorders or increase risk of injury and decreased physical performance. This enables practitioners to quickly and easily understand how to improve treatment protocols and increase therapeutic success. The advanced modules introduce treatment concepts for various postural disorders and injuries, based on many years of practical experience and know how.